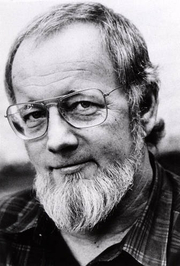 Donald Barthelme was born in 1931 in Philadelphia. He was a longtime contributor to The New Yorker, winner of a National Book Award, a director of PEN and the Author's Guild, and a member of the American Academy of Arts and Letters. His sixteen books -- including Snow White, The Dead Father, and City Life -- substantially redefined American short fiction for our time. In 1972 he won the National Book Award for children's literature for The Slightly Irregular Fire Engine of the Hithering Thithering Djinn. He died in 1989. Donald Barthelme is currently considered a "single author." If one or more works are by a distinct, homonymous authors, go ahead and split the author. Donald Barthelme is composed of 12 names. You can examine and separate out names.